B.V. Gow Plumbing Pty Ltd is a locally owned and operated licensed plumbing company offering a variety of plumbing & mini excavating services to customers located in Park Orchards and the surrounding suburbs. From sewerage connections to tap washers, there''s no job too large or too small. We pride ourselves on our ability to offer affordable, friendly, fast, and accurate service for all of our customers. If you have any plumbing requirements, contact us today! 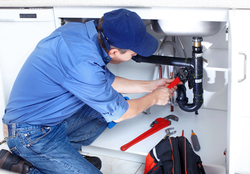 Do you require general plumbing repairs? Contact us -We can help! Contact us if you need help with renewing or unblocking drains!